Serial killers are riveting because they appear as normal humans—a neighbor, a mailman, a relative—but underneath it all, there is no humanity. The PVP Killer, named after the three letters that he leaves at his murder scenes, is a new serial killer in Detroit. The only characteristics about the killer that Detective Tobias Rodriguez can determine is that he’s inhumane, unstable, and still bloodthirsty. Tobias' new partner, Detective Lauren Williams, realizes that the killer is staging his murder scenes like deaths from video games. Tobias is initially unreceptive toward Lauren, but when the killer takes an interest in her, his emotions become tangled and irrepressible. The murders are set up like games and there are only two ways to finish a game: win or die. 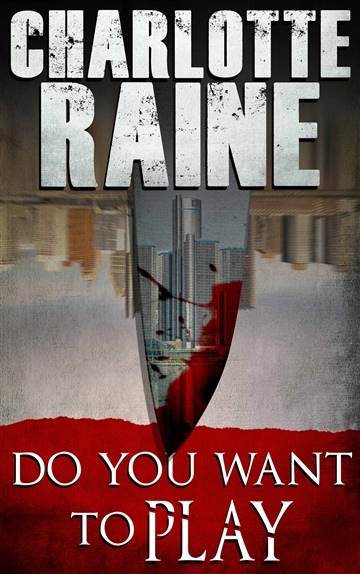 Charlotte Raine is the author of Do You Want To Play, a romantic suspense novel. Charlotte was inspired to write her first book through her love of watching a good suspense movie. And what the heck, throw in some romance and it can get even better.Charlotte lives in Vail Colorado, as a Colorado native and growing up with two brothers, she has grown to love the outdoors with every season. Charlotte finds constant inspiration for writing from the beautiful, calming and serene surroundings. If she is not writing or coming up with her next story, you will most likely find her on the slopes and relaxing with a good glass of red wine.